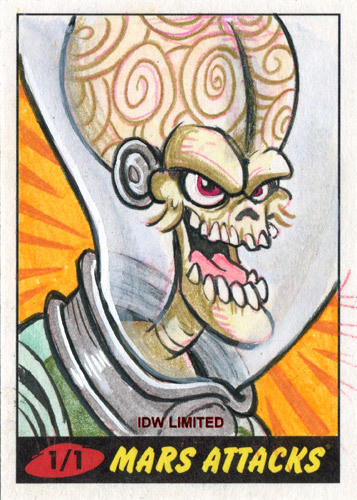 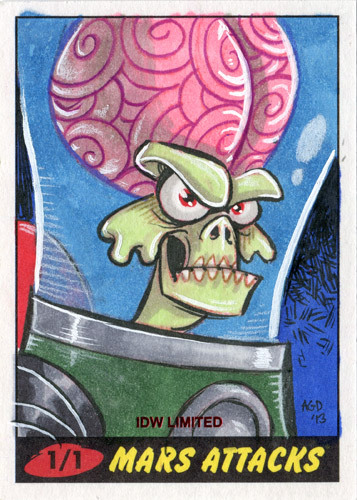 Mars Attacks Sketch Cards — Deligiannis Bros.
Ack ack ack! 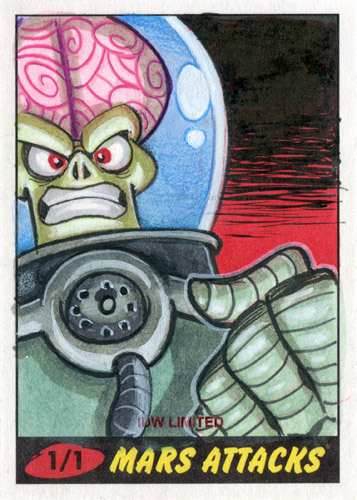 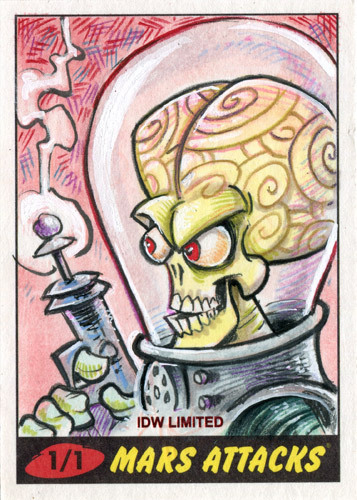 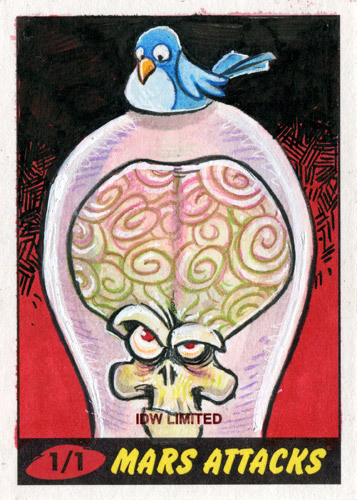 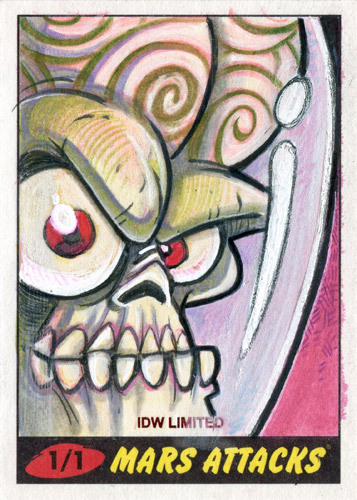 Alex created this set of 40 Mars Attacks sketch cards for Topps and IDW Limited. 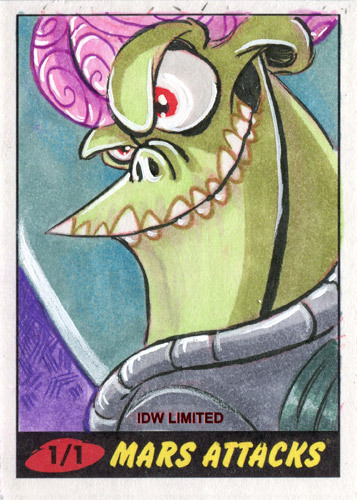 Each card is one of a kind, and based on real aliens. 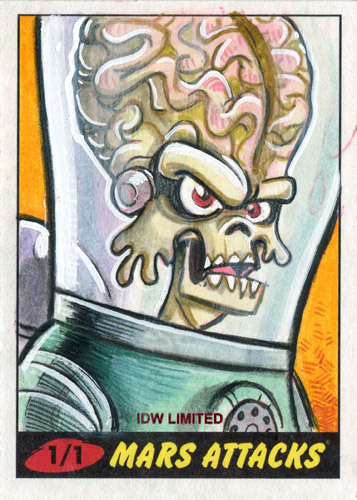 The originals were inserted inside select editions of the hardcover book, Mars Attacks: Attack From Space. 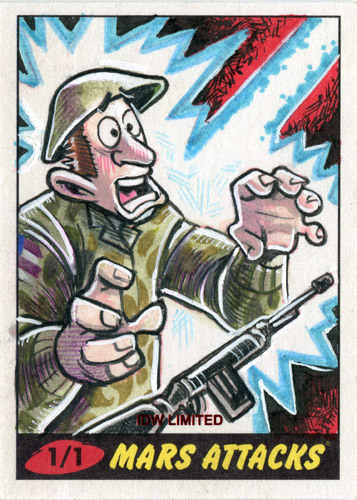 All 40 were also reproduced and sold together as part of a limited edition card set. 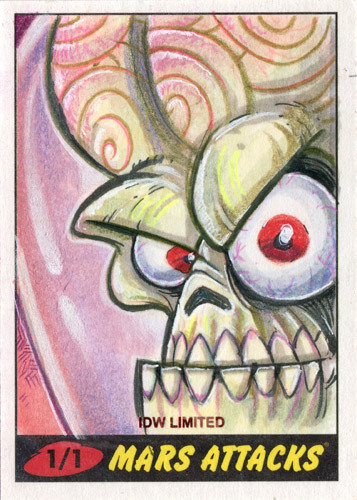 You can read a bit more, and see some process shots, on the blog.